A core component of your musicBox system is the matrix amplifier. One role of the matrix amplifier is to switch, or connect, any of the six input sources on the matrix amplifier to any combination of outputs (or rooms). A Source is simply an abbreviation for an Input Source. Although a musicBox system can contain more than one matrix amplifier, the musicBox is always limited to a maximum of six sources. Each additional matrix amplifier allows you to play music in up to six more rooms, but it does not increase the number of sources available. For example, the musicBox 12 system includes 2 matrix amplifiers. It allows you to switch any of the six input sources to any combination of twelve rooms. What is connected to the Source Inputs? When your musicBox system leaves the factory, the first four Sources on your matrix amplifier are pre-configured for use by the four HD streamers or players on the musicBox music server. 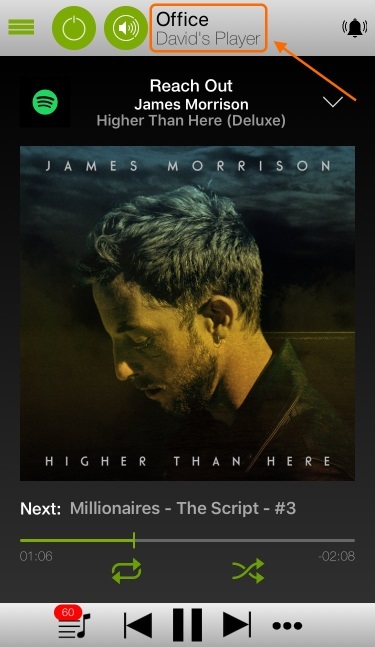 Each player (aka CasaTunes Media Player) can play music from any music service supported by CasaTunes (AirPlay, disc music, Calm Radio, Deezer, SHOUTcast, Spotify, Tidal, TuneIn, etc). Out-of-the-box you can listen to four different streams in any combination of rooms in your home. How do I know which source is being used in a room? 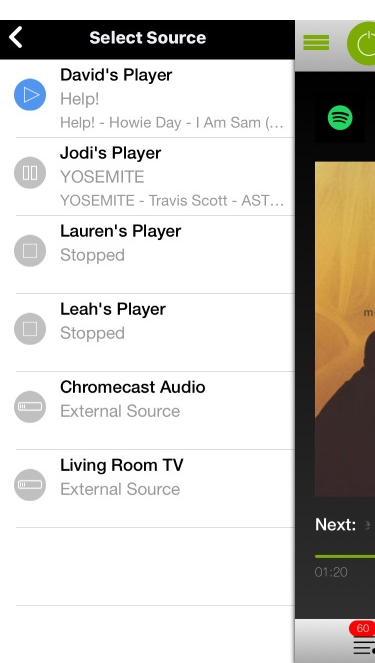 In the Now Playing screen, the source being used for a room is shown under the room name in the App header. In this example, the “David’s Player” source is being used to play music in the “Office”. Figure 1 - The source "David's Player" is being used in the "Office"
How do I chose a different source for a room? There are 2 ways to select a different source for the room. The first way is to open the Menu (by selecting the reveal menu icon), select the menu option “Select Source or Player”, then select the source to use. 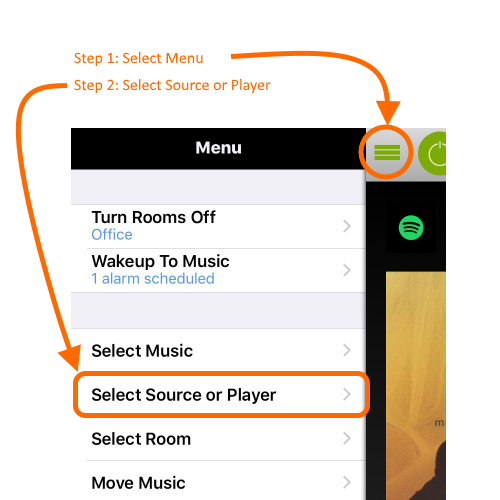 Figure 2 - Steps 1 & 2: Open the menu and "Select Source or Player"
The second way to select a source is to press on the room name in the App header, then select the “Sources” option, and finally select the source to use. This method is new, and if it is not currently available in your App, it will be coming in the next release. How about the remaining unused sources? Just make sure you verify the connector required for your Source is supported by the matrix amplifier. The musicBox matrix amplifier Source Input 5 supports a stereo analog input only (2 x RCA Jacks, Left and Right), while Source Input 6 supports either a stereo analog or digital (S/PDIF) input. If the connector you need is not supported, you can usually purchase a low cost converter/cable to resolve this. In addition to physically connecting your source to the matrix amplifier, you will also need to configure your musicBox to enable these sources using the CasaSetup administration utility. 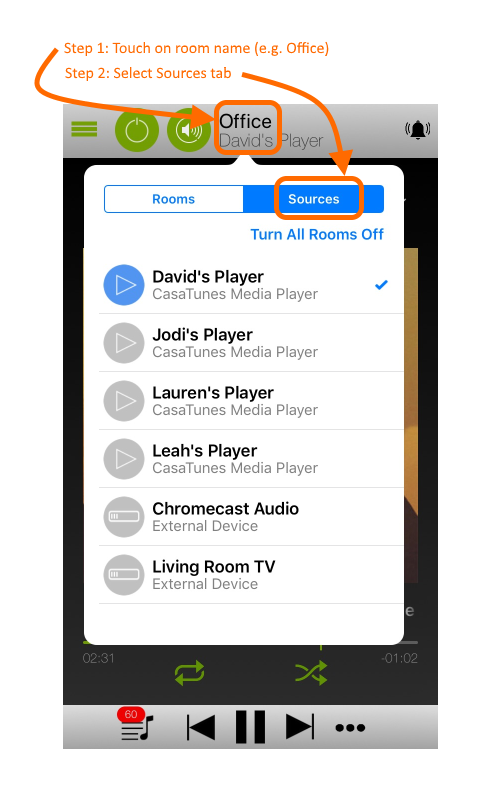 Although you will not be able to control these sources from your musicBox App, you will be able to control the power and volume for the room, including features such as wake up to music.